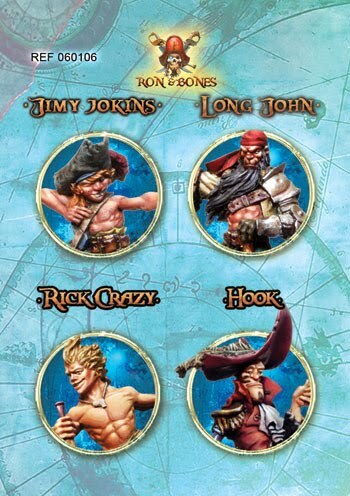 Here we are again with the last bunch of new releases for this year.We start with a new character for our Ron And Bones game. 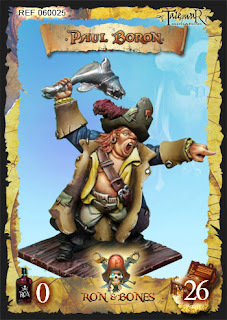 Here you have to Paul Boron,inspired in the comunity of Santamaria´s port from cádiz. Hope they like him, and you too. Painted by Jose M. Palomares. 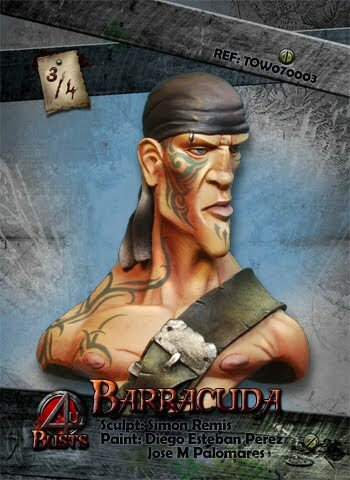 We are near to finish the first For-U colection, this month you have available the third bust of the colection,Barracuda. Remember that all the busts are numbered copies,do not miss yours. Painted by Diego E. Perez & Jose M. Palomares. We meet you in the sea. Hi, Nice post. Would you please consider adding a link to my website on your page. Please email me. Here you can see the last news about Ron&Bones tabletop game from Tale Of War miniatures.